Awards and incentives can be powerful motivators. They can boost work performance, increase employee morale and inspire new ideas. Before you implement a recognition or incentive program, check out some of these statistics. 1) 99% of surveyed employees and managers highly value incentive programs. 2) Incentives increase performance 45% of the time in team-based programs and 27% in individual programs. 3) 72% of incentive recipients reported very high satisfaction with rewards. 4) Incentive programs lasting a week or less saw a 20% increase in performance. Programs lasting more than a year produced a 44% increase. Check out some great ideas for awards and incentives. After a conversation with an executive at CONSOL Energy (CNX), Proforma learned the coal and gas company’s Gas Group had received the J. Brett Harvey Safety Award. This award recognizes CNX sites that have achieved one million hours without an accident. To recognize the workers’ dedication to maintaining a safe environment, CNX wanted to reward everyone in the group with embroidered jackets featuring the Harvey Safety Award logo. They turned to Proforma to find the right solution. To meet CNX’s request, Proforma provided 400 high-quality jackets that could be embroidered. But Proforma’s work didn’t stop there. As an additional ‘thank you,’ each employee could choose one free, high-end item from a list of options. Usually CNX would take care of finding out what everyone wanted, purchasing the items and sending them out, but they didn’t want to go through the process again. They turned to Proforma to manage the entire program. After collecting all the data and determining what each employee wanted, Proforma’s initial order for embroidered jackets turned into a sale for not only jackets, but also TVs, generators, bags and more. Proforma’s dedication to the project was rewarded when CNX asked for the same program the next year. With the relationship now established, Proforma plans on working on this incentive project for years to come. Put awards and incentive programs in place to encourage growth and success at Proforma Distinctive Marketing! Contact us now and browse our catalog for distinctive marketing ideas for your next project. 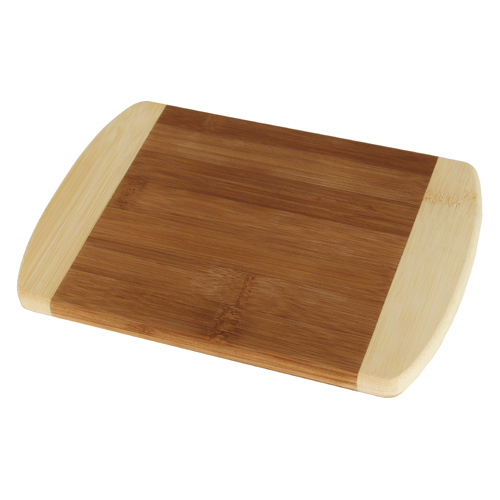 Your clients and prospects will be excited when they receive a high quality bamboo cutting board on your next visit. Your logo will look impressive laser engraved on one of our bamboo boards. You can pick from a 5×8 for only $5* each, 8.5×11 for $7.50* each and a 11.5 x 13 for only $12.50* each. Order 100 boards and mention this blog post to receive a free set-up charge valued at $50! * A larger engraving is possible with an upcharge based on laser run time. Employee appreciation this Christmas Season! Easton Coach Company wanted to show their employees their appreciation over the holiday season. The bus company wanted the best of the best for their bus drivers and asked Proforma to provide gifts that the drivers would find useful. Proforma developed a creative mix of gifts for Easton to choose from including leather items, coolers, chairs, emergency kits, stainless gifts, watches and barbeque sets. Easton was able to see and feel each of the products before they ordered anything. Once Easton selected a cooler and aluminum water bottle gift package, Proforma had two weeks to deliver the products so they would arrive in time for the company holiday event. A spec sample was quickly produced and once approved by Easton all of the final products were delivered to the company in just two days! Associates loved their gifts and Easton’s president was grateful for the extra efforts made by Proforma to deliver the gifts in a short period of time. “Proforma anticipated our needs and provided several very creative ideas we never could have come up with on our own. Our experience with companies that handled our promotional items before Proforma was inconsistent. Now, we feel like we have a true partner,” said Joe Scott, president and CEO of Easton Coach Company. Since the successful holiday gift project Proforma continues to work with Easton on other projects. One of the most effective ways to build a team is to show that you care. A small gifts, a thank you note, or even “good job” goes a long way at building a successful team. Zappos.com, an online shoe and apparel shop, wanted to increase participation in their employee incentive program by making their rewards fun and unique. They wanted to purchase non-traditional items at low quantities for its ‘Zollar Store,’ a place where its employees could redeem their ‘Zappos dollars’ for Zappos-branded promotional items. Employees can earn Zappos dollars for excellent performance, great customer service, impressive effort and community service. After being referred to Proforma, Zappos placed two basic orders to see how the results turned out. Everything went so well, they invited Proforma to present ideas for an upcoming Zollar Store budget. Proforma identified more than 100 unique options which included samples and shipping. Zappos was impressed and selected products including flasks, banks, garment bags, tumblers with crazy straws, and baseballs, among other items for the store. Zappos has been impressed with the items provided for the store. A representative from the online shoe and apparel shop said, “Thanks so much for being so on top of it! Proforma wows me on a daily basis.” Zappos has selected Proforma for additional projects based on this program’s success.